Scout Edition | Tlusty & Co.
We are pleased to bring to you our brand new Scout Edition of Do-It-Yourself leather products. 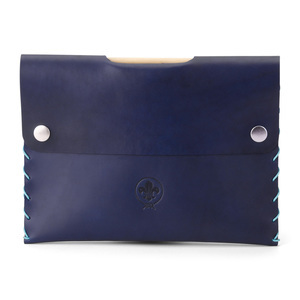 The collection is designed for Scouts aged from 7-18 years that want to develop their handcrafting skills. 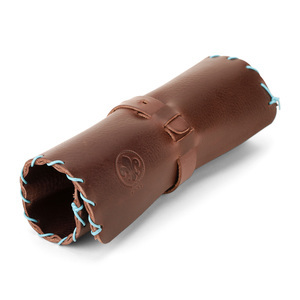 All the products in the range are designed as DIY sets and contain instructions and all the leather components, you need to put together and create your very own original pouch, pencil case, document case, and more. Choose your favourite colours and start creating! In under an hour you will have made your own uniques piece that will last you for years. Upon request, we are happy to emboss your product with your Scout nickname or group. All products come branded with the officially licensed WOSM logo. 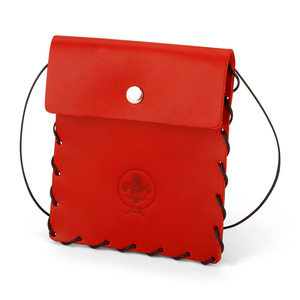 Use the leather string (included) and follow the instructions to sew your Scout kit. 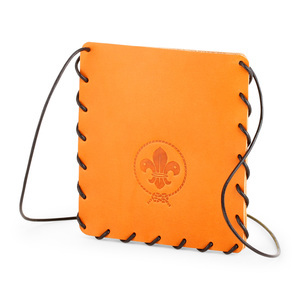 Practical and perfect for Scouts! 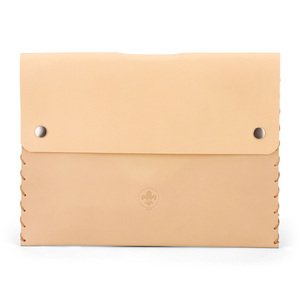 Your leather pouch will look amazing and last for many years to come. Are you looking for something new for your Scout meetings and camps? 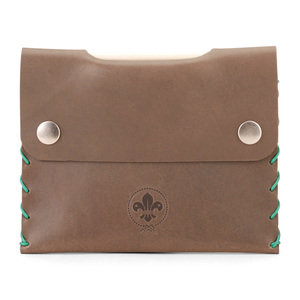 All our DIY sets in our special Scout Edition kits are designed with the needs of Scouts in mind. 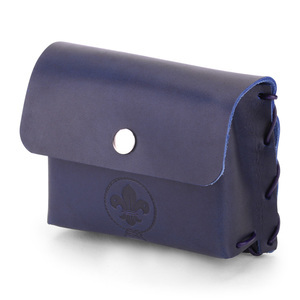 Belt pouches, neck pouches, leather document sleeves, and pencil cases can all be individually handmade by the troop. Children from 7-18 years can sew together the sections of each kit during a unique handcrafting session. Everything required is included in each kit - leather sections, colourful leather string, and instructions. 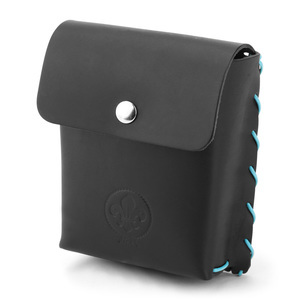 All the Scout Edition products can be assembled and sewn together without any sharp needles nor knives. For volume discounts and larger orders please contact us directly at mail@tlustyco.com.